The recipient of this year’s Marcus Oldham Australian Thoroughbred Scholarship is aiming to play her part in a family tradition in racing. Ali Kennedy-McDonald, the daughter of racehorse trainer, Clinton McDonald and granddaughter of Ross McDonald, is currently undertaking her equine diploma studies as part of the scholarship sponsored by Thoroughbred Breeders Victoria (TBV). The scholarship is also supported by Denise Martin’s Star Thoroughbreds syndication business and Coolmore Australia. Thrilled to receive the annual scholarship, Ali is looking forward to making the most of her opportunity to develop high quality practical skills and undertake valuable work experience placements that will open doors for her to the thoroughbred industry upon graduation. Although Ali didn’t grow up being hands on with horses, she was a regular racegoer through her family’s racing association and enjoyed participating in Fashion On The Fields competitions. “Apart from a Shetland pony when I was very young, I wasn’t really around the horses, I was actually scared of them!” Ali says. That day was three years ago. Since then Ali has tried to gain as much understanding and knowledge of the industry as possible culminating in winning this scholarship to study the equine diploma at Marcus Oldham College. “In the last few years, my interest and passion in racing just grew and grew and I tried to get as much experience as I could. I always knew I had racing in my blood,” Ali said. As well as working in her father’s stables, Ali assisted Michelle Payne as her personal assistant following her Melbourne Cup win and helped with administration at Melbourne Racing Club during the busy Spring Carnival. With Pentacolo, Ciaron Maher’s winner of the Great Eastern Steeplechase, as her college horse for the year, Ali is now learning how to ride and is keen to improve her horse handling skills. “Dad loves that I am now looking to have a career with horses. He always knew I had an interest, and he has helped me get over being afraid,” Ali said. The first half of the diploma’s curriculum has been focused on general horse management while the upcoming semester will concentrate specifically on racing and breeding including a stint at Coolmore in the Hunter Valley. Bill Cockram, a successful breeder known to many in the Victorian industry, was appointed by Marcus Oldham earlier this year to the position of Equine Coordinator and lecturer. “I am interested in thoroughbred breeding and how studs work, and excited to be doing my work placement with co-sponsor Coolmore. I am also looking forward to the upcoming tour through New Zealand, to visit the studs, stallions and the NZ racing industry,” Ali said. Ali’s five-year goal is to travel around the world to further increase her thoroughbred industry experience by working at international studs and racing establishments. A long-term focus includes working in racing media. 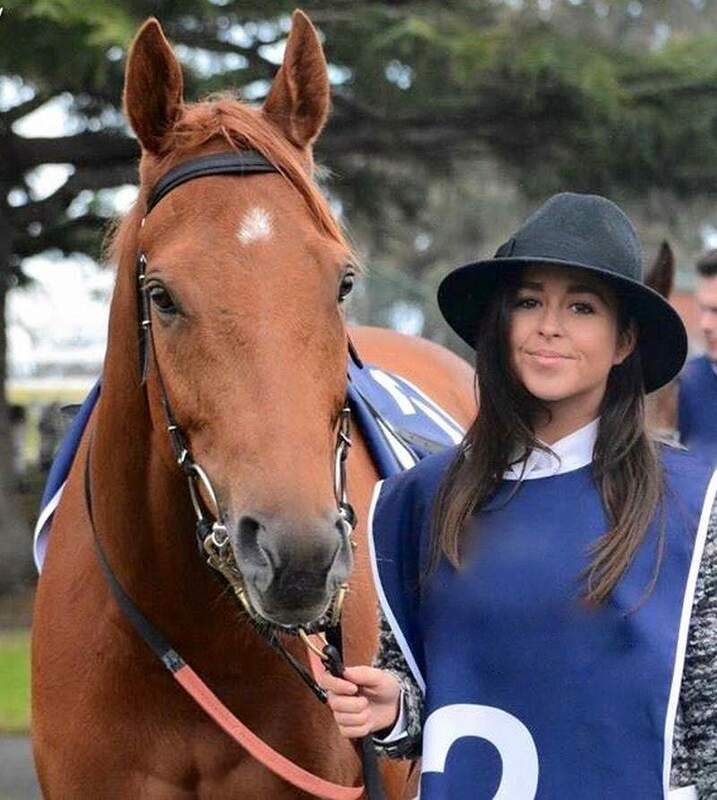 Wherever, this valuable scholarship takes her, Thoroughbred Breeders Victoria wishes Ali the very best with the remainder of her course and looks forward to hearing about her future experiences in the industry. Who knows, one day it may even be a Clinton and Ali McDonald training partnership!